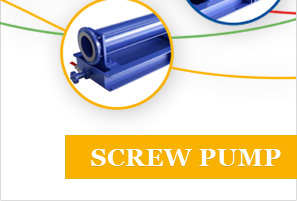 Screw Pump is an ideal pump used to feed drilling fluids to decanter centrifuge since drilling fluids is pushed to proceed along axial direction evenly. Therefore, the inner flow speed is kept low, volume unchanged and pressure stable so that vortex and agitation are prevented. Screw Pump is useful for wet mud drilling waste management and cuttings transportation. 01.The pump shaft is made of stainless steel and even the whole pump is possible to be made of it. 02.The stator is made of elastomeric material, so it gives the pump a more competitive advantage than the other pump to transfer the fluids of high viscosity and fluids with hard suspended particles content. 03.The advantages of pump are compact structure, small volume and easy maintenance. Rotor and stator, as the wearing parts of this pump, are convenient to replace. 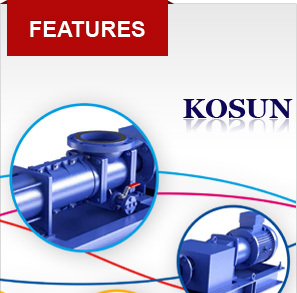 KOSUN has the experience and state-of-the-art facilities in plants for production, design and development of any transfer pump application for processing and separation duties. Progressing cavity (PC) pump technology is ideal for the arduous applications of multi-phase fluids entrained by solids, which require steady flow and low shear to prevent emulsification, whilst resisting the effects of abrasion without gas locking.